Japan operated 174 submarines throughout World War Two. They had constructed many different designs, some of which were the most advanced in the world at that time. Their submarines had the longest range, were the fastest and used the most advanced torpedoes. Japan also built three large 5,000-ton, 400 feet long, Sen Toku class submarines that were capable of carrying three aircraft. These submarines were designed to carry out bombing raids on the Panama Canal locks, although none managed to complete that task. 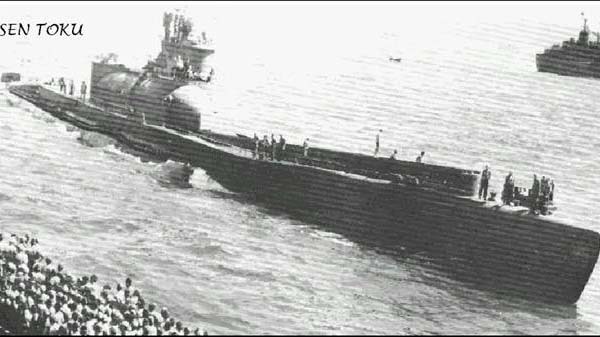 I-58 was one of three B(3) type submarines with a range of 21,000 miles, could dive to 330 feet and carried 101crew. I-58’s success in sinking the US heavy cruiser Indianapolis July 30th 1945 saw her become Japans most recognized submarine. Soon after the attack on Indianapolis, I-58 was fitted with Kaiten manned torpedoes that were 48 feet long, 3 feet in diameter and had a 3,400 lb TNT warhead. On August 12th 1945, I-58 launched the kamikaze Kaiten torpedoes at the US landing ship Oak Hill. Fortunately for Oak Hill and other Allied ships, they were not as successful as the Japanese had intended and few found their targets. Japanese submarines were mainly used to attack US warships and carry supplies to Japanese forces on the Pacific islands. As a result, they only managed to sink 184 merchant ships totaling 907,000 tons. Their success against warships was 2 US aircraft carriers, 2 cruisers and 10 destroyers. Although over 120 Japanese submarines were lost during the war, all three B (3) and Sen Toku type survived. 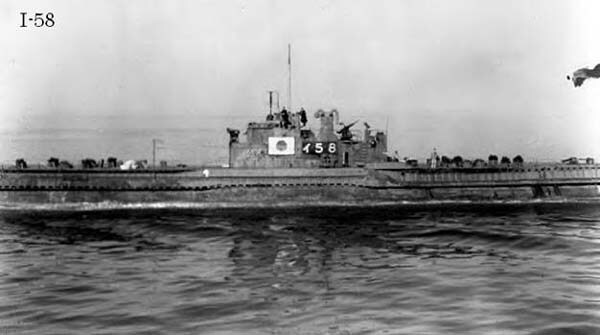 US forces disposed of I-58 by scuttling her off Goto/Japan April 1st 1946.